Posting a bit late today as I just got home. 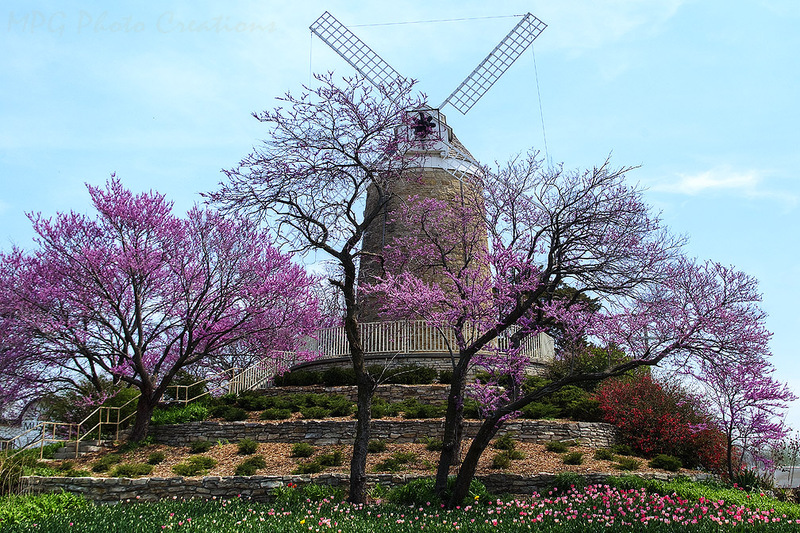 I took this photo a couple of weekends ago in Wamego, KS of the old Dutch Windmill style flour mill. It was built in 1879 twelve miles north of Wamego. In 1925 it was moved stone by stone to Wamego. The stones were numbered as it was dismantled and then reassembled in order.On this day there were only about half the tulips in bloom due to the late spring we had. You can see them at the bottom of the photo. The Redbud trees were blooming rather nicely.